It began in July 2013 when our first product is only t-shirt being produced and still produce until now, we love to explore our doodle ideas by creating new product in high quality and good materials. Doodletees is an online doodle custom store that focuses in made by order only. Our initially main product are Tees. 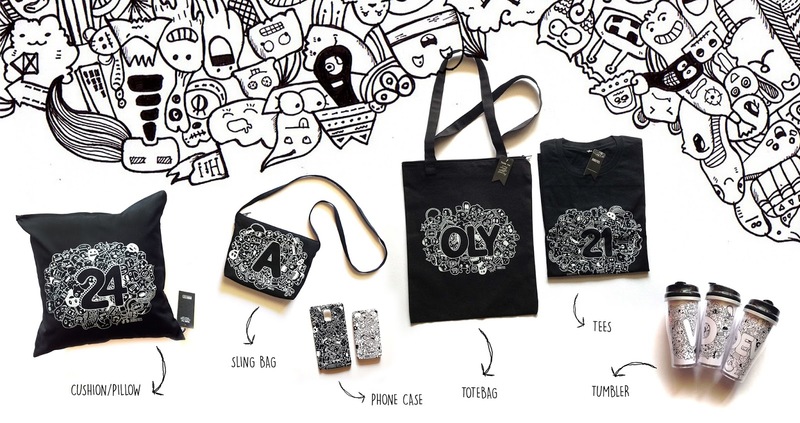 But being on the scent of trend thrift and market demand, we developed our products into vary things, from totebag, sling bag, tumbler, cushion, phone case, and pouch. Doodletees are widely known for its simple, spontaneous, monochrome, monster and freehand art design, with a very limited amount of production. The material used are chosen of high quality material. Doodletees it's from two words 'doodle' and 'tees', because our first product is tees that's why we call our brand is Doodletees. You can create your own name, number or inisials. Nowadays we try to build our strength by maintain communications with our costumers. It’s been 2 wonderful years we mantained good relationship with them.